Egypt’s general budget deficit declined to 3.6% of gross domestic product (GDP) during the first half of fiscal year 2018/2019, versus 4.2% in the year-ago period. 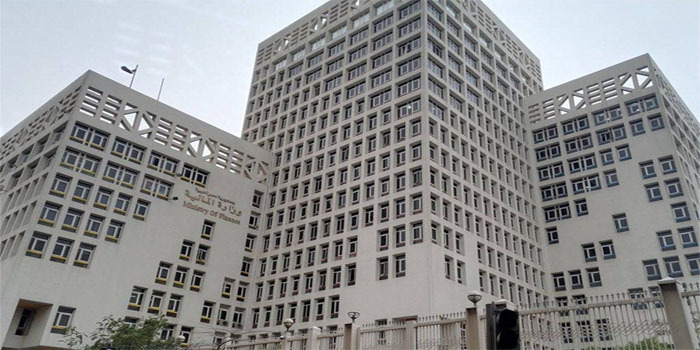 The budget deficit fell to EGP 186.6 billion in the six-month period ended December 2018, versus EGP 187.2 billion in the prior-year period, according to a report by the Ministry of Finance (MoF) on Monday. Additionally, the state’s total revenues increased by 28% in H1-18/19, recording EGP 388.2 billion, versus EGP 302.4 billion in H1-17/18, the MoF said. Meanwhile, total expenses grew by 18% year-on-year to EGP 547.2 billion, compared to EGP 487.7 billion. The ministry noted that wages and bonuses of public servants rose by 15% in the first six months of the current fiscal year to reach EGP 131 billion. Moreover, spending on commodities stood at EGP 28.4 billion, while investments in non-financial assets recorded EGP 55.7 billion.